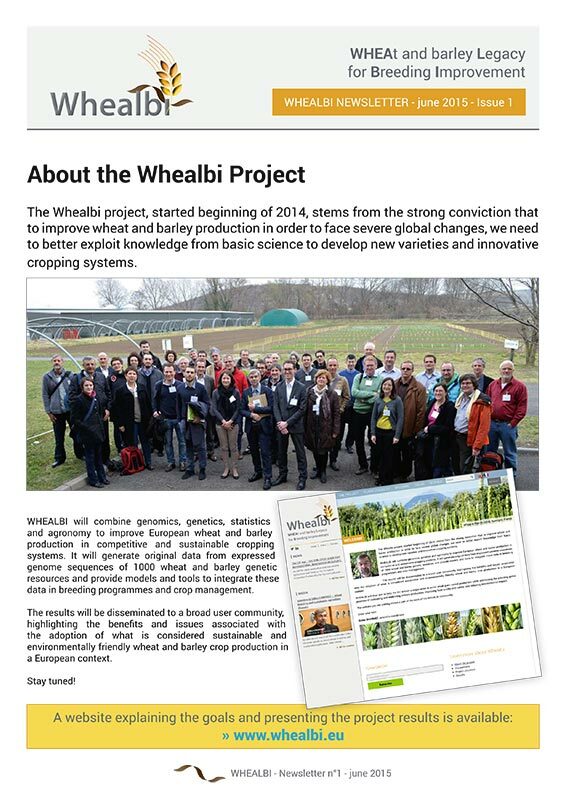 A deliverable summarizing the different steps and organisation of the Farmer college project has been released. 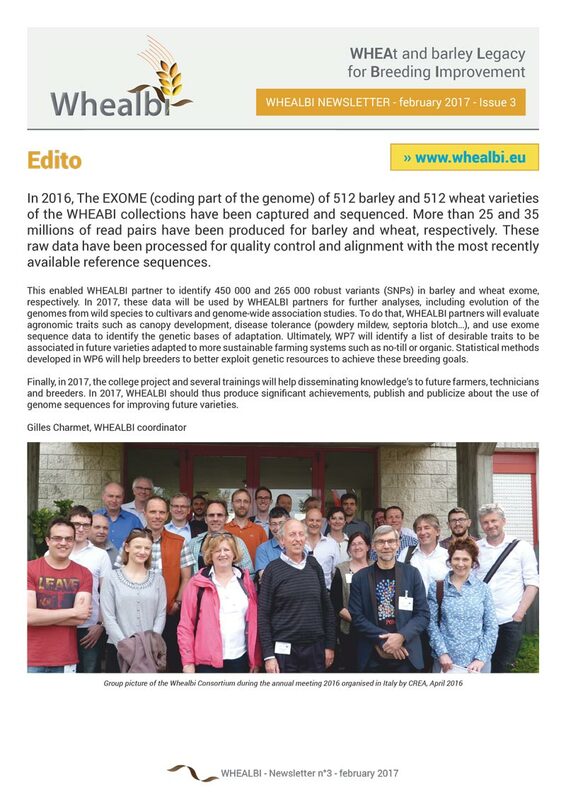 The deliverable D4.1: « Database containing sequence variation in >500 wheat and >500 barley accessions across exome capture design space » is available. 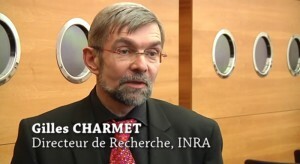 Le Centre Inra Auvergne-Rhône-Alpes ouvrira ses portes les 3, 4 et 5 juin 2016 sur son site de Crouël à Clermont-Ferrand. 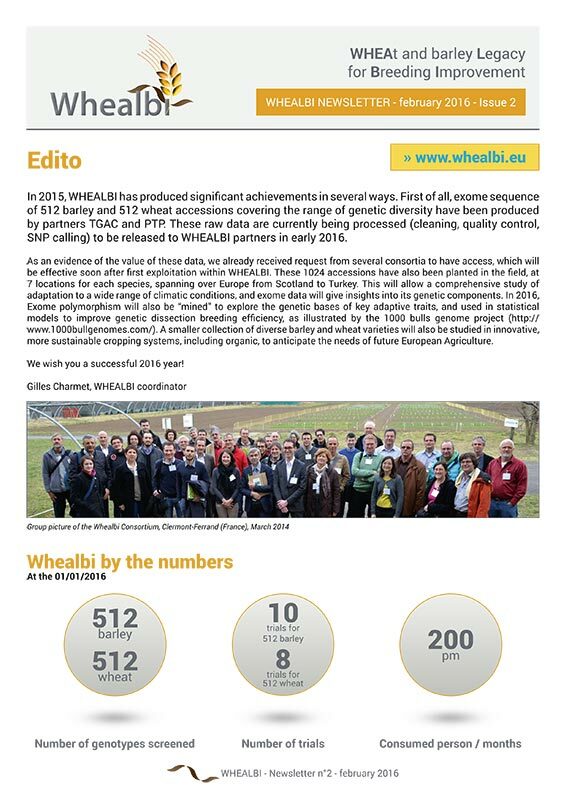 A poster presenting the overall WHEALBI project will be presented at The International Wheat Conference 2015 in Sidney, 20-25th of September.